This day we got out of the hotel late too due to the fact we did a big breakfast in the room with fried eggs and sandwiches. I dressed wrong for the day thinking it would be cold, but it turned to be a warm to hot day. As soon we were on a less populated area my uncle stopped to take a picture and I used this break to exchange my heavy shirt by a lightweight one. We kept riding, and soon the pants I had chosen were also too hot for that day. As soon as we saw a few bushes on the side of the road we stopped and I quickly changed my pants by another one, much lighter. 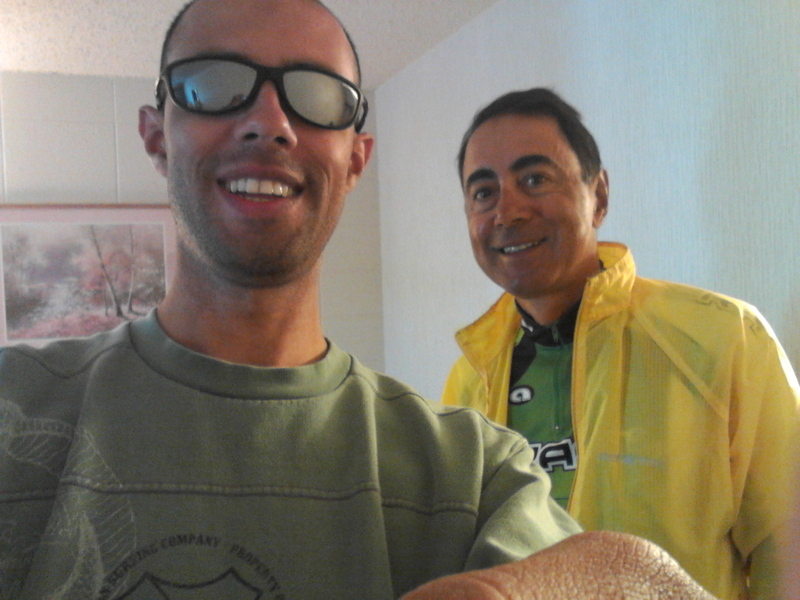 We rode more 16 miles and arrived on a city called Conway. There we eat lunch and had one of the few good coffees we could find throughout the whole trip besides the ones we can get on Starbucks. 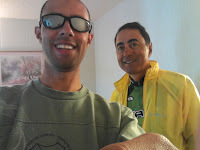 We also called Brazil and updated the blog during that time. 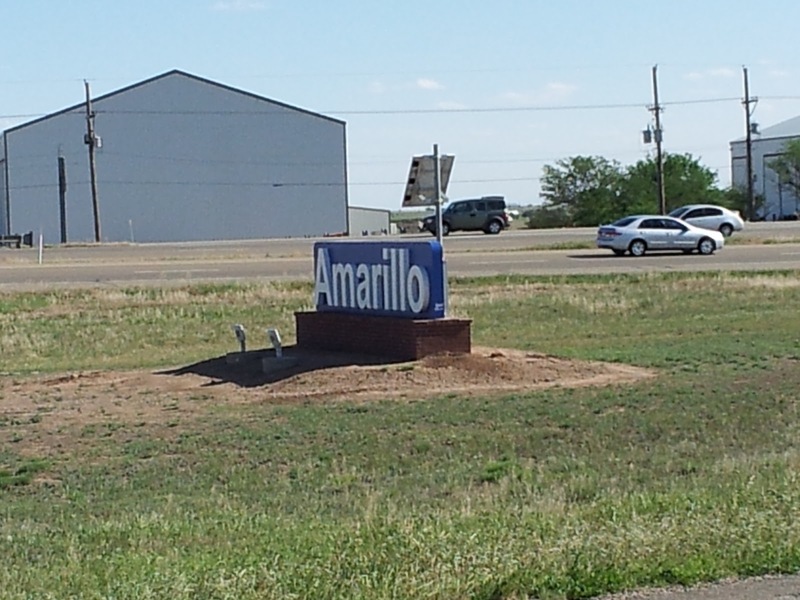 The ride to Amarillo was smooth and without any hassles. The winds though made it harder to move forward. Even going on a totally flat terrain we felt like we were constantly going uphill. 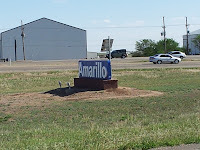 Amarillo was a big city, but we didn’t see anything we were particularly impressed or attracted to, at least not on the places we passed by. We stopped at a Walmart to get food. There my uncle got a new seat for his bicycle, one that was softer and would make it easier to ride so many hours in a row. 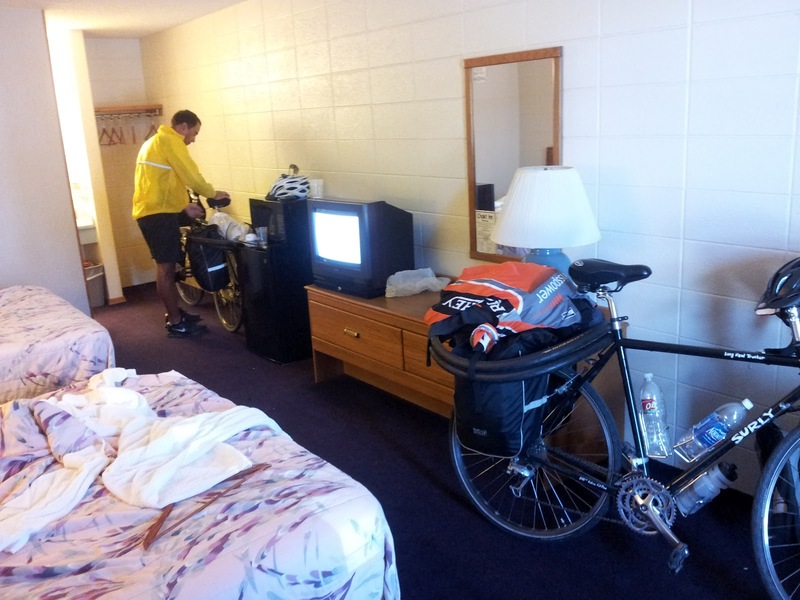 We arrived in the hotel early and had a chance to make more substantial updates to the blog, and also have a good time resting in the hotel.